This outdoor wall lantern pairs well with classic outdoor dicor themes and rustic styled homes. The beautiful silhouette and rubbed oil bronze finish captures attention and sets the garden mood alight. This lantern is open at the bottom for easy light bulb access. This outdoor wall lantern pairs well with classic outdoor dicor themes and rustic styled homes. The beautiful silhouette and white finish captures attention and sets the garden mood alight. This lantern is open at the bottom for easy light bulb access. 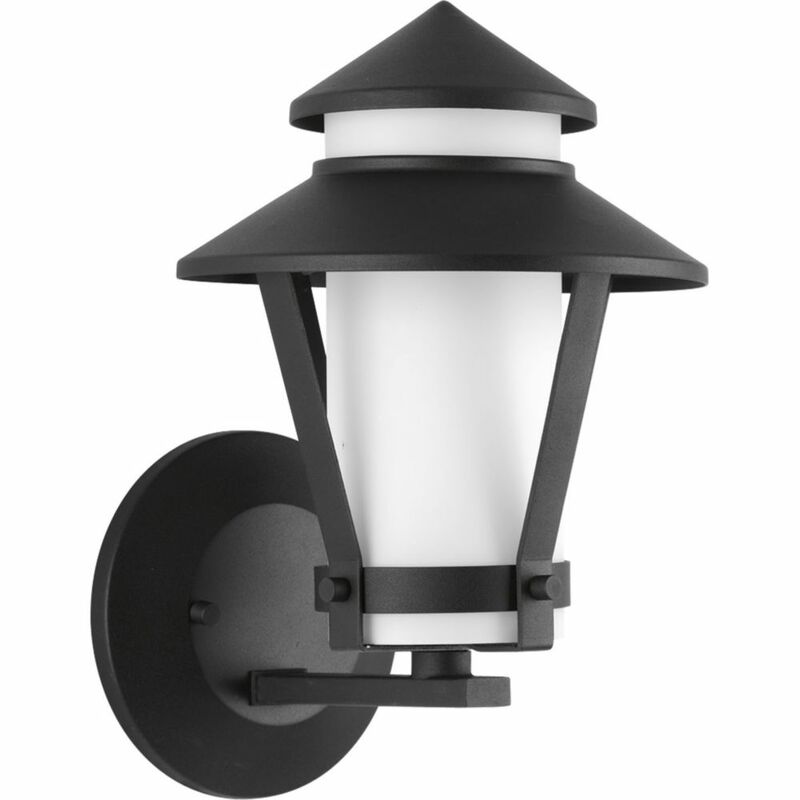 Via Collection 1-Light Black Wall Lantern is rated 4.0 out of 5 by 1. Rated 4 out of 5 by Kurt from Internet advertised bulbs included but they were not. Spent an... Internet advertised bulbs included but they were not. Spent an extra $30 dollars for hard to find bulbs with gu 24 base.